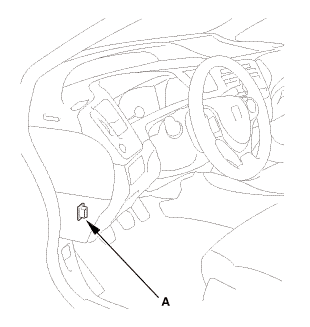 Driver's side: Remove the lower anchor cap (A). 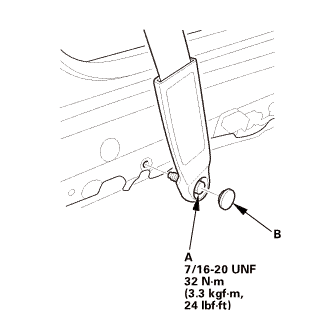 Driver's side: Remove the lower anchor bolt (B). Driver's side: Remove the cap (A). 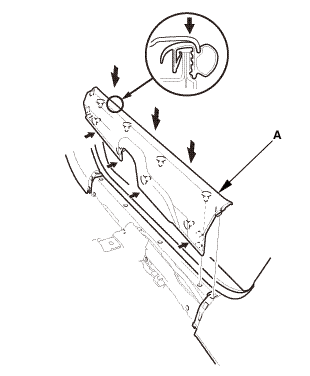 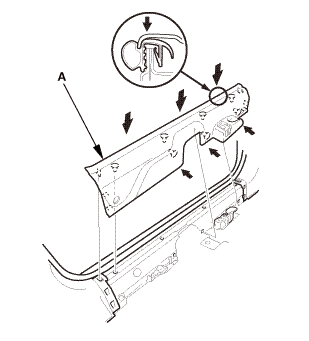 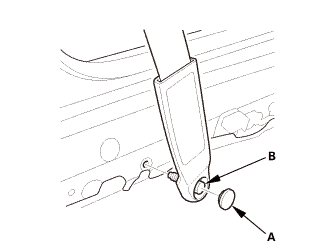 Driver's side: Remove the opener lock cylinder (B). 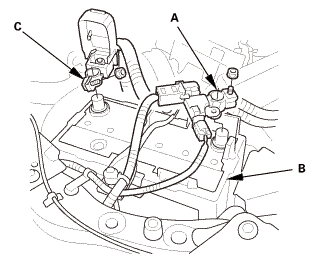 Disconnect the side impact sensor (first) connector on the floor wire harness. 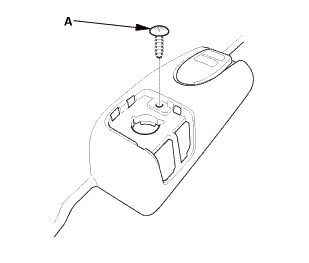 Remove the TORX bolt using a TORX T30 bit, then remove the side impact sensor (first) (A). Install the side impact sensor (first) (A) with the new TORX bolt using a TORX T30 bit. 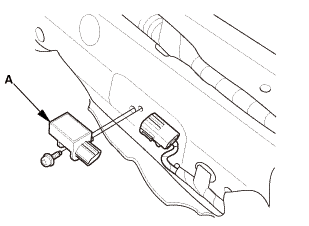 Connect the side impact sensor (first) connector on the floor wire harness. 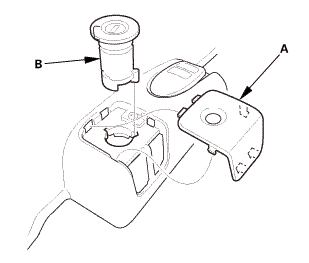 Driver's side: Install the cap (B). 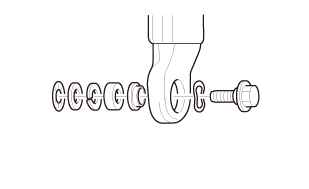 Driver's side: Assemble the washer, the collar, and the bushing on the lower anchor bolt as shown. 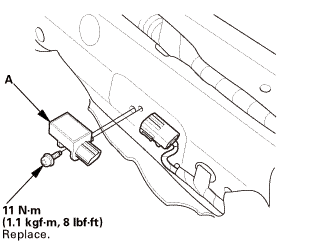 Driver's side: Install the lower anchor bolt (A). 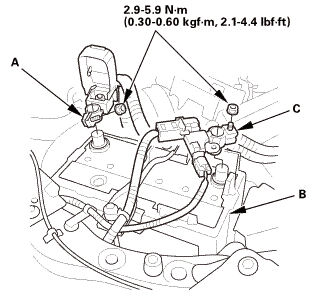 Driver's side: Install the lower anchor cap (B).